From sunup to sundown these Wedge Booties made by Bernie Mev let fashion take the lead. 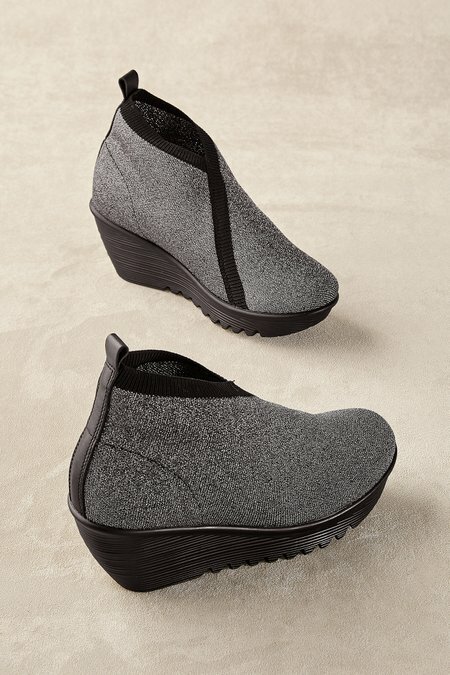 Styled with a sleek knit upper with top stitch detailing and angled crossover seam front, these ingenious booties feel more like a sneaker thanks to their secret memory foam sole disguised as an updated wedge. 2-1/2" heel.